Living like Pablo Escobar: The former property of the drug lord in Miami Beach stands for 14 million euros for sale. The mansion of the cartel chief is long gone. But the property itself is full of history. Sea view with skyline: So luxurious lived Pablo Escobar in Miami Beach. The broker assures: The former resident leaves no conclusions about the neighbors. "Phil Collins and the Bee Gees live right next door," says a post on "Forbes.com" about the magnificent property in Miami Beach currently being offered by Sotheby's International Realty. But it is also true that Pablo Escobar once co-ordinated his drug trafficking on the 2800 square meter estate. Some interested parties may be fascinated by this, others may be more discouraged. 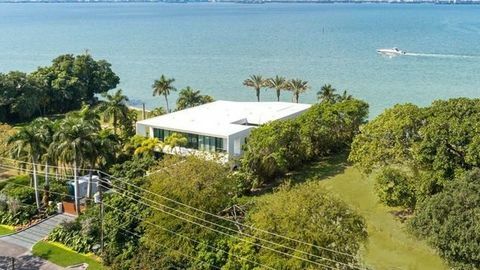 15.9 million US dollars (equivalent to about 14 million euros) will cost the property directly on the waterfront with the address 5860 North Bay Road. A real bargain, says broker Mirce Curkoski. Many properties in the area would go for more than double. But that is also because the buyer has yet to build a house. Escobar's villa was demolished, long time ago. The 1948 building probably would not have met the demands of a modern luxury property. Escobar bought the property according to the report in 1980 for $ 765,500. The Colombian criminal resided in a villa whose pastel-pink paint gave rise to "Miami Vice" vibes. The building accommodated four bedrooms and six bathrooms. Two secret safes were discovered during the demolition work. Escobar could not enjoy the view of the Miami Beach Skyline for too long. The property was confiscated in 1987 by US authorities. It was initially sold for $ 915,000 to a lawyer. For him, the investment was worthwhile. In 2014, the property changed hands again for $ 9.65 million. Looking for a new property? On the island of Parrot Cay soon available: Bruce Willis offers his local luxury home now for sale. For 33 million dollars (about 30 million euros). 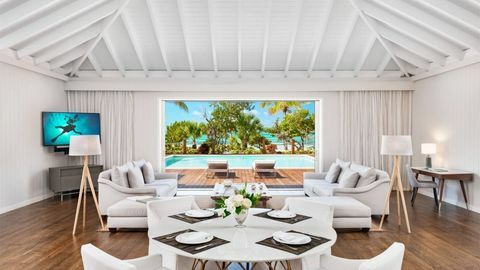 Island luck: Parrot Cay politically belongs to the British overseas territory of the Turks and Caicos Islands and is appreciated by many stars as a sanctuary. Bruce Willis has even renewed his marriage vows with Emma Heming on the island with white sandy beaches and turquoise waters in March. But now he wants to sell his villa with almost 1,700 square meters and two guest houses. Anyone who has always wanted to know how a Bruce Willis' star actually lives has the chance. The new owner has a total of eleven bedrooms, thirteen bathrooms, a TV room and much more. The master suite occupies the entire second floor and is decorated in neutral tones, as the magazine "People" reports. Sliding doors lead to a surrounding terrace, which offers a magnificent view of the sea. The two-story island-domicile of Hollywood size was completely renovated in 2018. 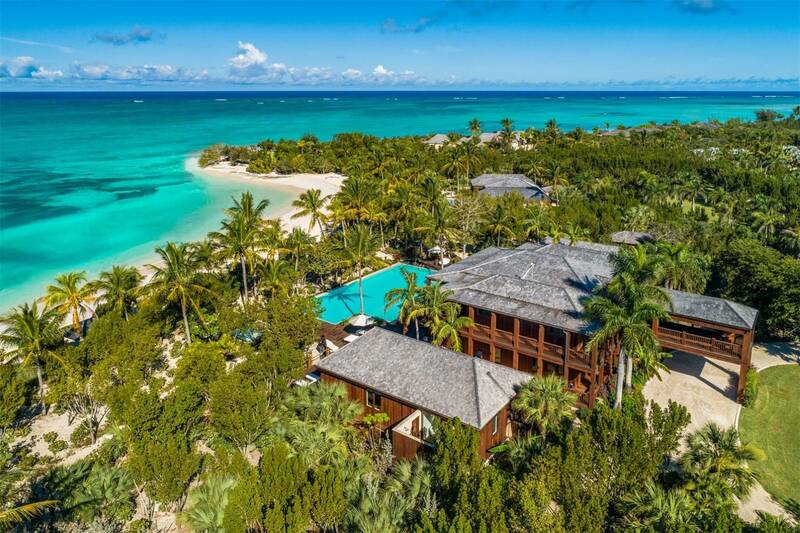 The Caribbean estate of Bruce Willis has a lot to offer, also from the outside: Four pools, a beach volleyball court, a yoga pavilion and a children's playground are among others housed on the premises. Coconut, banana and papaya trees are included. If you buy the piece of jewellery, you can also benefit from a private property management and use a well-known butler service. Private housekeeping and a chef are also available. The sale is regulated by the real estate agency Turks & Caicos Sotheby's International Realty.